ExpressColour is a boutique local commercial flyer/postcard/brochure printing company based in Singapore. For over 25 years, ExpressColour had been relying on traditional marketing methods to sustain its business activities. ExpressColour’s main clientele base were real estate agents. When the property market dipped in 2013, the phone lines became very quiet. As an FMCG company, Search Engine Marketing was the most relevant and effective marketing channel. 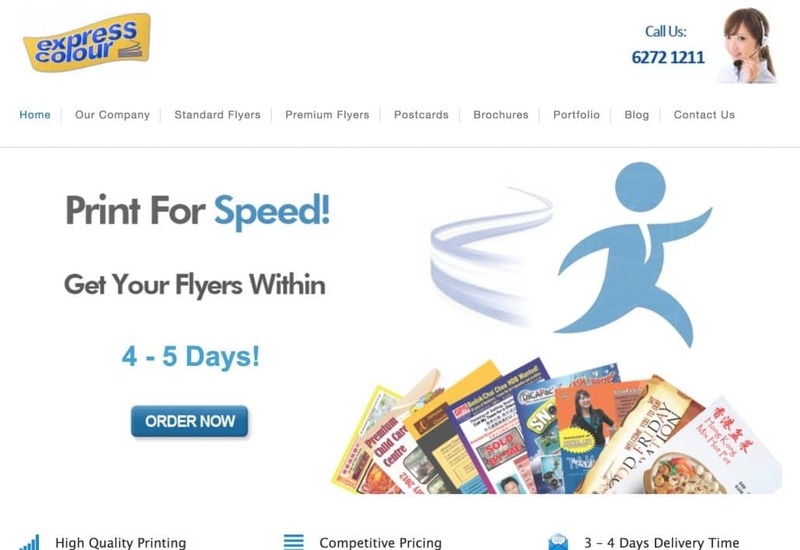 Consumers wanted their marketing collateral delivered fast and at low cost and they took to the search engines to discover and compare various commercial printing companies. After launching a Search Engine Marketing campaign with Google AdWords and optimising the website to rank on the 1st page of Google’s organic search results, ExpressColour saw a 30% increase sales volume. Before the property market downturn, ExpressColour’s clientele base was relatively small, but the sales volume of each client was large. After attending our Google Ads course and implementing Search Engine Marketing, a huge influx of small volume orders came from a variety of industries ranging from Retail to F&B. This made up for the initial dropout of larger B2B clients and ExpressColour was able to thrive in this competitive industry. The figure on the right depicts a monthly average search volume of 1650 searches a month for only 4 commonly used search terms. A conversion rate of 2% would mean 33 new customers per month on average. It wasn’t all smooth in the initial phases of launching the Search Engine Marketing campaign. Competition was high and ExpressColour’s pricing wasn’t competitive enough. Bidding on the keywords that included the keywords “cheap” e.g. “cheap flyer printing” proved ineffective. According to its AdWords reports, ExpressColour was spending an average of $2.00 per click on keywords that included “cheap”, but weren’t fulfilling orders for those keywords. This resulted in a negative ROI for the overall Search Engine Marketing campaign. Upon removing “cheap” keywords from its AdWords Search Advertising campaign, ExpressColour was able to reduce its Cost Per Acquisition (CPA) by 4.5 times. Note the cost per conversion at $150.92 before adding search queries e.g. 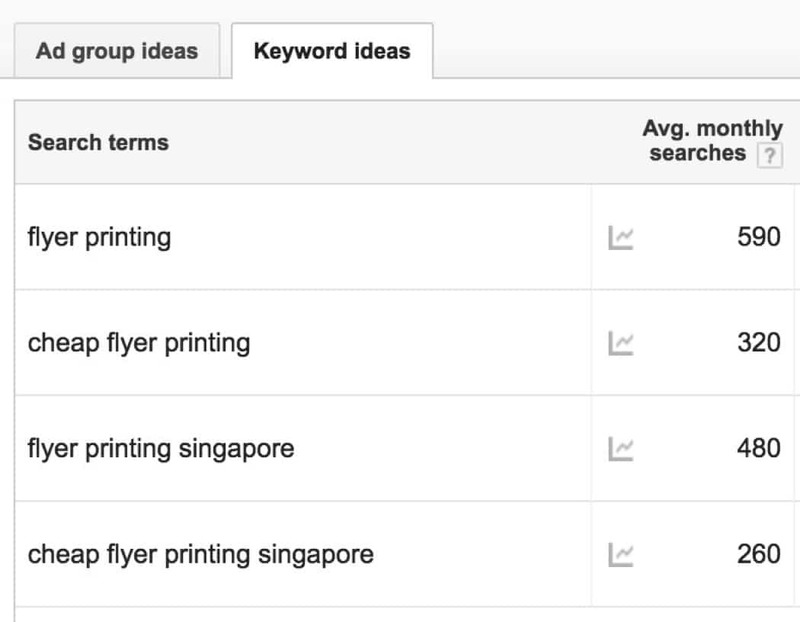 “cheap flyer printing” and “cheapest flyer printing in singapore” as negative keywords. Click-through-rate dropped to 5.04% but cost per conversion decreased to $29.19 after ads did not show for “cheap” keywords. Source: Anthony Toh, Express Colour Pte Ltd, who attended our Google Ads course.